Golf tournaments and fundraising: the two go hand in hand. 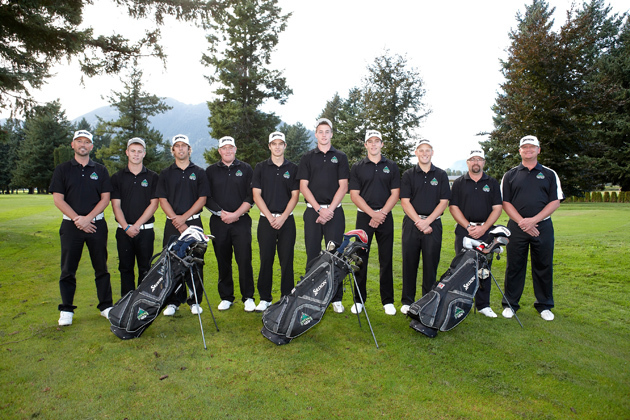 So when UFV golf coach Chris Bertram was looking for a way to boost funding for the UFV Cascades golf team, going the golf tourney route was an easy decision. But this is no ordinary golf tournament. Ray was able to use his many connections in the golf community to bring the pros to Abbotsford for the tournament, matching 22 pros into foursomes with 66 amateurs. 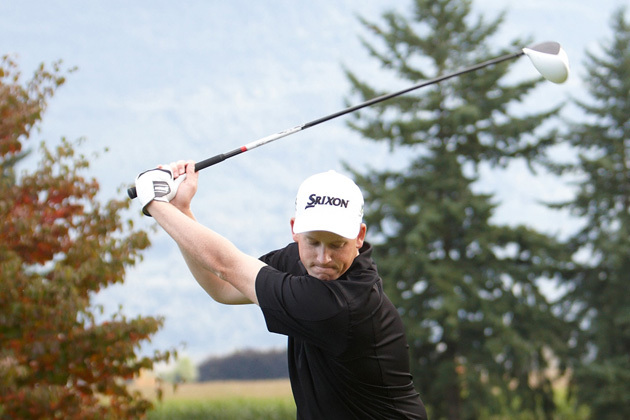 Abbotsford is a bit of golf hotbed, especially the Ledgeview golf course, which has recently produced talent such as James Lepp, Nick Taylor, and the current Canadian it-player, Adam Hadwin. The very best golfers are typically recruited by U.S. universities before launching their pro careers. UFV’s Bertram wants to ensure that those who don’t leave for the States have a place to play university-level golf at home. “We want to build a competitive program so that those that don’t get U.S. Division I scholarships have a place to play and to continue to develop their skills right here at home,” he says. The community really gets behind the tournament. Local and out-of-town companies sponsor teams, and the pros often bring along amateurs within their circles. The title sponsor for the tournament was Bowers Medical of Kelowna, and the presenting sponsor was Cleveland Golf/Srixon Canada. 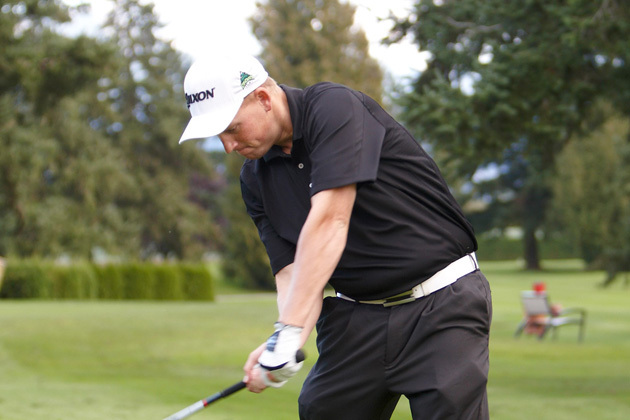 Pros playing this year included Ray Stewart, Adam Hadwin (who was the defending champion from the 2010 event), and UFV Alum Clark MacPherson, who went on to take home the trophy this year. This year the tournament generated nearly $30,000 in revenues, which allowed the team to enter some high-profile tournaments in the U.S. in addition to their four-tournament PACWest regular season. A silver medal at the PACWest provincial championship earned them a berth to the nationals in PEI, where the team finished third in Canada, and landed on the national podium for the fourth time in the past five seasons. Members of the 2011 team include Connor Richey, Mitch Lock, Aaron Pauls, Darren Whitehouse, Ryan Grill, Dan McArthur, Scott Benstead, and Daniel Bismeyer.